Q500 "Sport Pylon" provides a cheap and quick equipment availability Formula for R/C pylon racing. 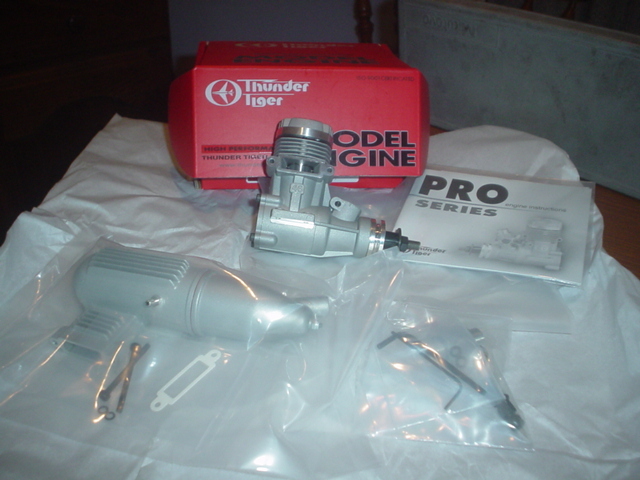 The Tunder Tiger Pro46 is a powerful and low cost engine for this type of "all equal" racing. No performance mods are allowed, and with all airframes being much the same, ensures that the best pilot on the day wins. For these reasons we prefer regular q500 pilots to only use the Pro46.